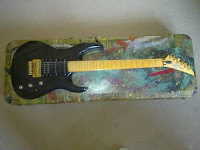 My LAG ROCKLINE Deluxe... Black shadow finish, gold hardware, birdseye maple neck. My Dad spent over a months pay on this for me for my 18th birthday present and even then it was half price because the was a chip in the finish! I probably played it 3-4 hours a day for the next 5 years! 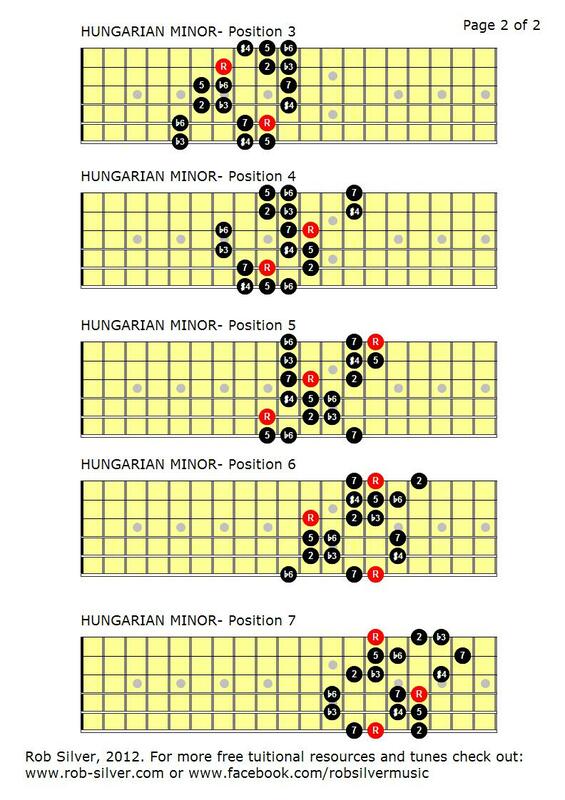 The HUNGARIAN MINOR SCALE or the DOUBLE HARMONIC MINOR SCALE or the GYPSY MINOR SCALE or the HUNGARIAN GYPSY SCALE or the ALGERIAN MINOR SCALE to give it a few names is composed of the following intervals: 1,2,b3,#4,5,b6,7. 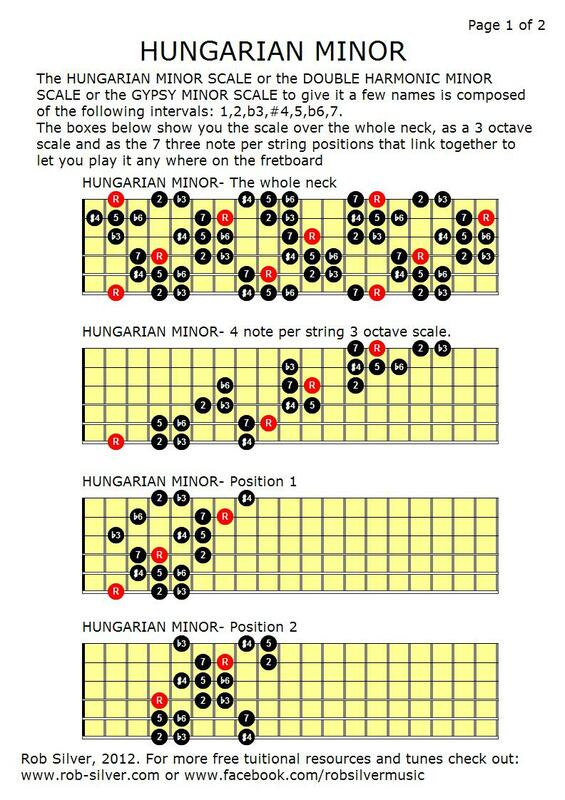 The free guitar scale diagrams below lay out the scale for you all over the neck, as a four note per string three octave scale and as the seven three note per string patterns that will link together to let you play it all over the fretboard in any key.